Let’s face it— you can’t sell a car without buyers. In an ideal world, the only people you interact with are polite, courteous, and interested in your vehicle. However, in the real world, you’re forced to deal with different buyers who come in a variety of sizes, shapes, and personalities. It's relatively safe to sell cars online, but sometimes, there are rare moments when you might get buyers whose sole intent is to scam you out of your car—or your hard-earned money. Here are some common scams that are often used on sellers. Keep them in mind when you deal with car buyers. Consider this a warning sign when a buyer isn't even interested in viewing your car first. Most of the time, it’s just a part of a larger scam where the buyer sends you a fake check and sends another person to pick up your car. Related to number one, buyers can sometimes pay sellers with money orders and checks that are fraudulent. Remember that the car isn't yours anymore once you sign the title. Once you do this, you’re basically giving your car for free if the buyer’s “check” hasn't cleared before. There are two ways you can get scammed by this: the buyer will tell you that someone owes him money that's more than your car's cost, and he or she promises to pay you once he gets paid. The second one is when the seller sends you a legitimate check to pay for the shipping cost of your car. This fools you into thinking that he’s an honest buyer, so you ship car and then receive his payment – a fake check. It's never really a good idea for a buyer to pay you in installments, since it's difficult to collect money once they stop making their payments to you. The buyer will complete their payments using a fraudulent escrow service. Once you've signed the title, the money won't be there anymore (or worse, the escrow service company disappears). Some buyers are just identity thieves in sheep's clothing. Their main intent is to fish out some of your personal information, such as your bank account and credit card numbers. Filter out callers, and make sure that they are legitimate buyers. Make sure to verify all checks before you transfer the title. Ask for a driver's license (and other important documents) first. Meet in a public place if they will test drive your car. Document phone numbers, names, information, and everything that's signed. Don't give your personal information (such as your credit card and social security numbers), and erase them if you give your service records. Avoid taking checks, money wires, and money orders. If you decide to use checks, verify them first before parting with your car. Make sure that you have the cash on hand once you sign over the title. Never accept monthly payments (except if you really know and trust the buyer). Don't agree to ship your car until all the payments are cleared. Have a friend with you during inspections. Get independent, professional advice if a buyer's offer involves a lot of time, money or commitment on your part. Use your intuition (and common sense). We tend to take our intuitions for granted, but if your gut instinct tells you it's a scam, it most probably is. 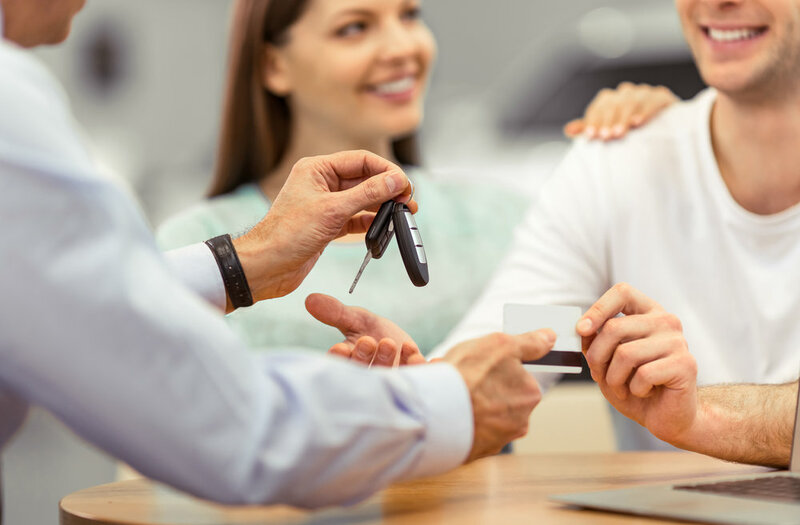 While it's normal for buyers to inquire about a car, calling in to ask more questions and clarify your statements is a good sign that they are really interested in your car. Aside from his mechanic, does the potential buyer take his friends or family to look at your car? That's a good sign. Oftentimes, buyers who are really interested will drop by and ask to look (again) at your car. It's a good sign if buyers ask you a lot of questions. It’s also a good idea to prepare your answers beforehand. Once you do, then you know how to overcome buyer objections should they arise. What are your reasons for selling the car? Where / Who did you buy your car from? What are the features and specs of the car? Can you show me your driver's license, vehicle ownership records, and car's registration number? Has the car been involved in any accidents, collisions, and other run-ins? Does the car have any mechanical problems? And can you fix it first before I buy it? Can I take this car for a test drive? How long? Can I let my own mechanic do an inspection on your car? One advantage of preparing your answers is that you know how to overcome buyer objections. Knowing how to treat car buyers is important when selling your car. Remember that good manners are still important, so always be friendly and courteous, whether you're on the phone or dealing with a prospective buyer face-to-face. Don't be afraid to use email. Send pictures and other information about your car such as its specs, features, and highlights. Give your car's details to other household members. That way, they can pass on information to prospective buyers and ask for their contact details. Return calls promptly. Don't make the buyer wait. Keep in mind that the best place to sell and size up the buyer is when you do your test drive. This is where you can point out the car’s strengths and weaknesses. Make sure to provide correct and honest answers so buyers can make informed decisions. Remember: nothing stays hidden, so it's better to be upfront right from the start. Ask questions about the buyer, such as what they're currently driving and what features they're looking for in a car. Remember that the seller is sizing you up as well, so be on your best behavior at all times. This gives them the impression that you're knowledgeable, realistic and sincere.